In early 1980, a team of archaeologists led by Nan Rothschild and Diana Wall uncovered several meters of burned floor-boards just a few feet below-surface on Pearl Street between Broad Street and Coenties Slip. The group traced these remnants, plus sections of foundation walls and artifactual remains all pointed to a mid-to-late 17th century structure built next to colonial New York’s city hall, the Stadt Huys. After detailed study of the items alongside maps, plans, and historical accounts, they were able to connect the site with the Lovelace Tavern, which operated between 1670 and 1705/6. In partnership with the Landmarks Preservation Commission, the Archaeology Project Team at the City Museum is now digitizing the artifacts associated with the Lovelace Tavern as part of a large-scale cataloging project. The archaeological excavations revealed colonial tavern life in a way previously unseen by New Yorkers today. Built in 1670 by Governor Francis Lovelace, the second English Governor of the province of New York, the tavern had been constructed to connect directly to the Stadt Huys, making it a centrally located meeting place. In 1697, the City Council of colonial New York declared that the Stadt Huys, was unfit for use and that government business would be conducted from the adjoining tavern. This was not an extraordinary measure as taverns were central to early colonial life, and several New York taverns served as the official government meeting place during the colonial period. In fact, the Stadt Huys was originally built as a tavern. For several years, the Lovelace Tavern (known by then-proprietor George Rescarrick’s name and later called the King’s Tavern, among other names) served as the seat of government in New York until the second city hall was completed. Louis Oram. Stadthuys of New York in 1679. 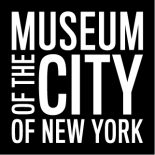 Museum of the City of New York. 29.100.1634. So what was the scene like at Lovelace’s? Archaeological deposits relating to the tavern (depicted to the center right, next to the Stadt Huys) are densely packed with smoking pipes and bottles dating to the mid-to-late 17th century. Importantly, there are few other artifacts such as plates, bowls, or mugs that usually accompany a guest house or residence: 4,220 pipes, 1,828 bottles and glasses were recovered compared with 388 ceramic fragments. Despite the few plates and bowls, large numbers of food-waste bone were uncovered: oyster shells, bird and mammal bones. So we do know that some kind of eating was taking place. The type of bones serve as clues to what may have been for dinner. Pipe stems imported from cities such as Gouda, Bristol, Amsterdam and London along with a cache of “onion” shaped glass bottles dating to late 17th or early 18th century were uncovered. Often associated with rum, 17th century onion bottles could have stored wine or even ales – all popular in colonial taverns during the late 17th century. Because of their location relative to the tavern floor and subsoil, archaeologists were able to confirm that these items were used by patrons of the tavern. This distinctive material culture indicates that most people visited the Lovelace Tavern for specific reasons: smoking, drinking, gossiping (and governing) rather than dining and lodging (Rockman and Rothschild, 1984). Cantwell, Anne-Marie E., and Diana diZerega Wall. 2001. Unearthing Gotham: the archaeology of New York City. New Haven: Yale University Press. Rockman, Diana D. and Nan A. Rothschild. “City Tavern, Country Tavern: An Analysis of Four Colonial Sites.” Historical Archaeology. 18, no 2 (1984): 112-121. Anytime I see artifacts like this, I’m amazed at the condition they’re in after some many years. The colors still pop after being cleaned, like on the onion bottles. That’s great. This entry was posted on April 19, 2016 by Camille Czerkowicz in Archaeology project and tagged 1600s, 1700s, 1800s, archaeology, Colonial New York, drinking, Francis Lovelace, Landmarks Preservation Commission, Manhattan, New Amsterdam, Stadt Huys, Tavern.